Recruitment is an expensive process, it often involves traveling, conducting interviews and screenings and more. You invest a lot in making sure that you have the right students for your school and after enrollment, you want to make sure they stay there. Unfortunately, the latest studies show that drop-out rates are on the rise and that 1 in 3 students will drop out in their first year. This is alarming as it means that schools may be losing money on recruiting these students! Ultimately, this means a poorer school environment for everyone involved. To address this issue, it’s important to fully diagnose it. The top concerns for first-year students who drop out are feelings of disconnection with their school and worries about their classes. After the lengthy process of applying to, visiting and enrolling in a school, these students end up feeling lost in a sea of thousands. This is a sad situation for all involved. However, it can be improved by fostering a more positive and open relationship between the student and school. To do so, communicating with students in a medium they are familiar with is essential and can be done in a passive, friendly manner by using digital displays. These displays can be used to promote extra-curricular activities and other events through which students to become more involved on campus. Students who are involved in clubs are less likely to drop out because they hold relationships outside of academics and are generally happier. Digital displays can also be used inside the classroom. A common first-year experience is going to your first large class (>300 people) and not being able to properly hear the lecturer or copy down notes. This can lead students to feel dejected and isolated. Large digital displays could make these notes crystal clear for all students so that this feeling doesn’t occur. These students are also then more likely to seek help from faculty when they need it. It’s important that schools try to aid their students and provide a supportive atmosphere where they can succeed. 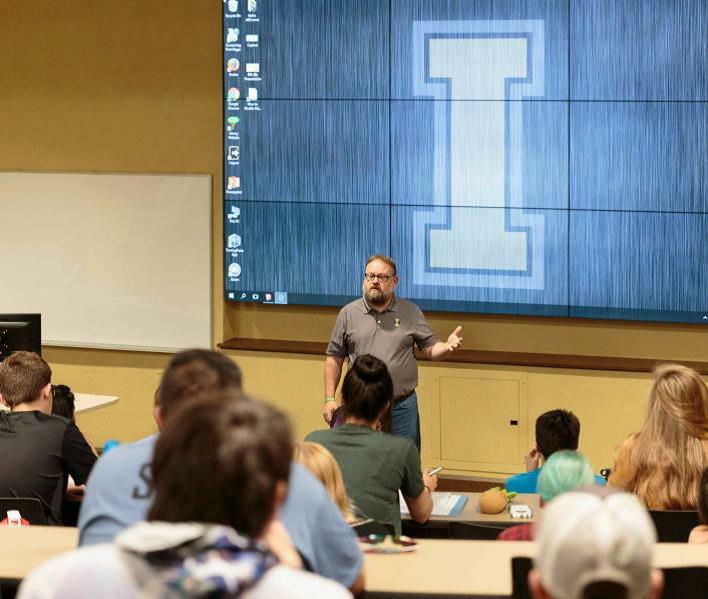 Investment in digital displays helps create this atmosphere and brings students closer together. In the end this means that increased student satisfaction and more revenue for the school.